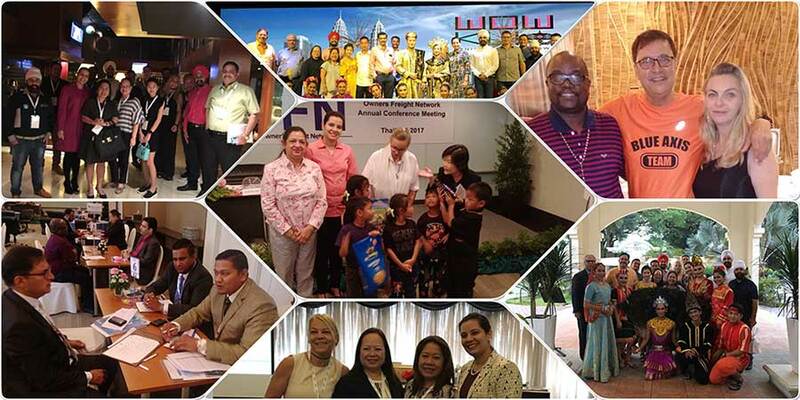 The 1st Annual conference of Owners Freight Network was held at Dusit Thani,Pattaya, Thailand from 18-20th February 2017, which was attended by owners and decision makers of the company. 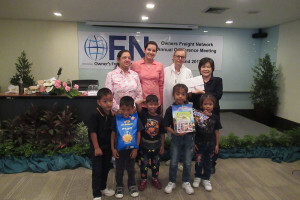 ..The management of Owners Freight Network LLP, along with members of their network, for supporting the Pattaya Orphanage, in appreciation of our contribution for the welfare of the society.. Coordinated by Ms. Jasleen of OFN, five pre-school kids represented the Orphanage in the handing over of funds during the company’s annual general meeting at Dusit Thani Hotel Pattaya.. Our grateful thanks to all for today’s lunch sponsorship, donations of AGM delegates from different countries, and the lovely snacks for the kids to share..
Kindly visit Pattaya Orphanage website at http://www.thepattayaorphanage.org/or/?p=80504 for details .